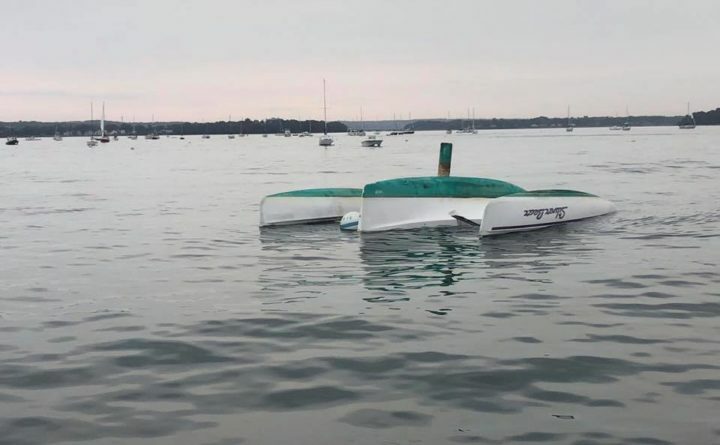 Thunderstorms brought heavy rain, strong winds and hail to parts of Maine and New Hampshire Tuesday, bringing down power lines and sinking boats moored in Casco Bay. Downpours hammered parts of southern Maine Tuesday afternoon, causing damage throughout Greater Portland. Thunderstorms brought heavy rain, strong winds and hail to parts of Maine and New Hampshire Tuesday evening. In Portland, one the the hardest hit communities, the short, intense storm knocked down large branches across the city and sank boats that had been moored in Casco Bay. On Wednesday morning, Portland harbormaster Kevin Battle stood near the city’s East End Beach and surveyed the damage in still choppy waters. The strong winds, which reached 60 miles per hour, and hail were driven by pockets of air at different temperatures colliding to create new storm cells, according to Taylor Patterson, a meteorologist at the National Weather Service station in Gray. Patterson said that such storms are typical for hot Maine summers and that a similar storm hit parts of Waldo County on Tuesday evening. At one point the storm knocked out the power of 4,000 customers in Maine, with most of those in Cumberland County. But by mid-morning Wednesday, fewer than 500 were without electricity, according to Central Maine Power’s website. 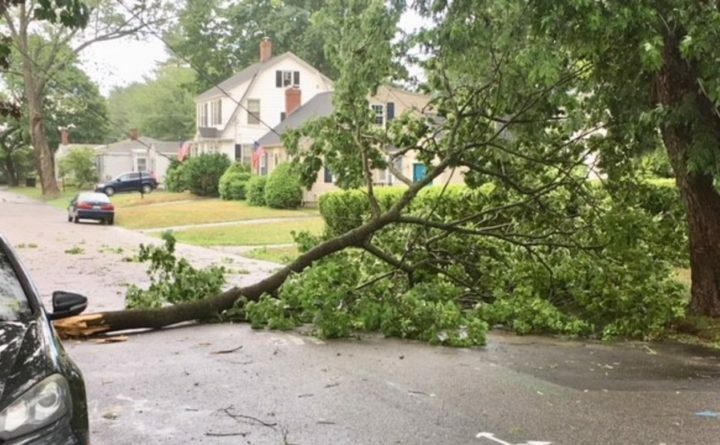 In New Hampshire, damage such as trees falling on houses and overturned boats was reported in Northwood, Andover and other towns.